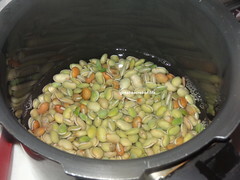 Mochai is one of the vegetable which I love the most, mainly fresh ones. Even though I am not a big fan of pongal as a dish, I love the sambar that my grandma makes on pongal day which is with fresh eggplant and mochai. After Kids started school in Singapore so I seldom go back home for pongal. This year I got a chance to visit my mom in the beginning of Jan. So my mum got me a bag full of Fresh Mochai. 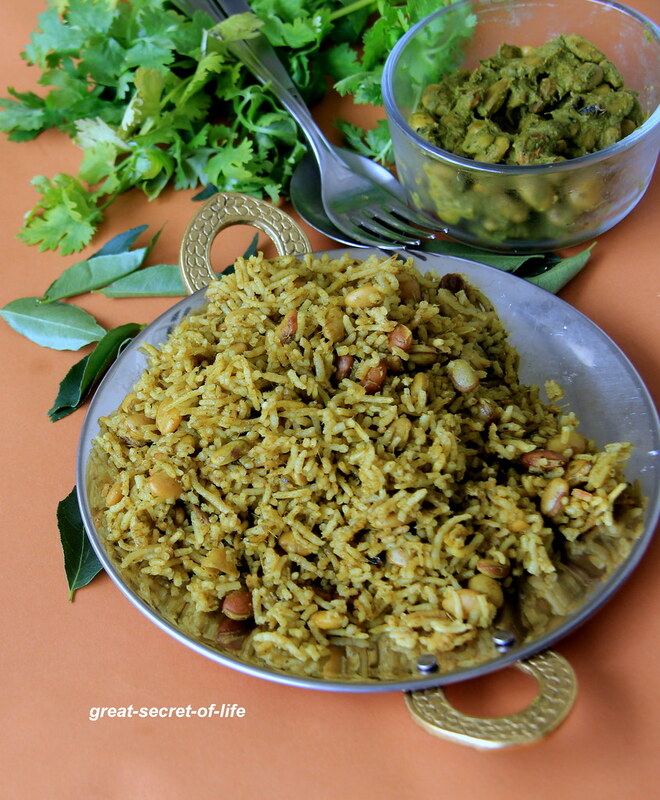 I tasted this biryani back home so I have decided to try it out. 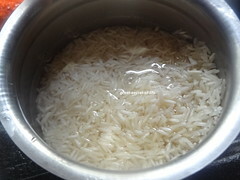 Wash and soak basmati rice for 30 mins. Drain it. Keep it aside. 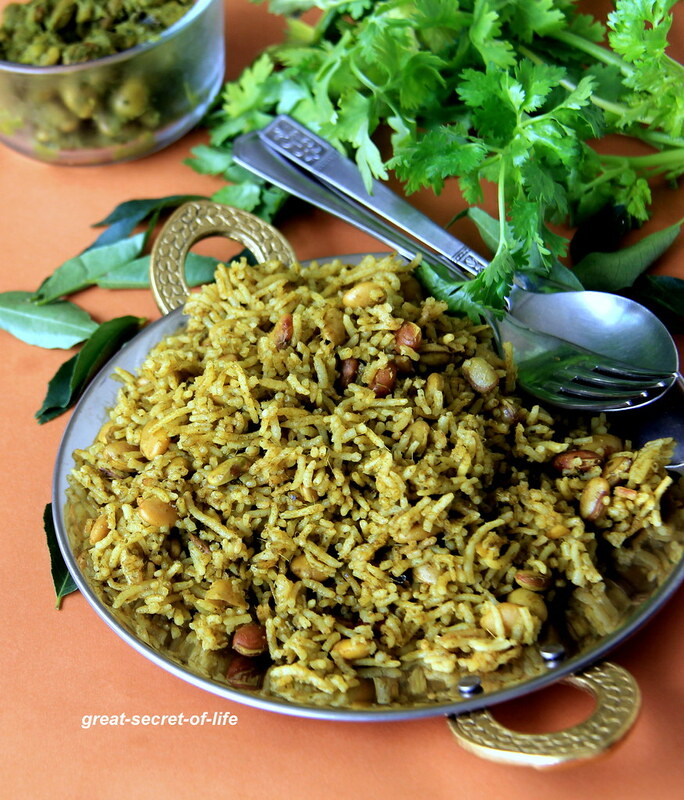 Heat 1/2 a teaspoon of ghee and fry the rice till moisture absorbed. Keep it aside. 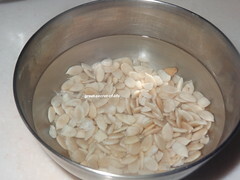 Soak Melon seeds in hot water and grind to smooth paste. 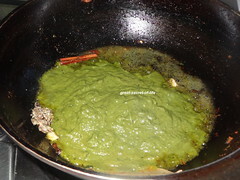 Heat 2 teaspoon of oil/ ghee in a pan. 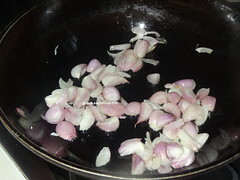 Add small onion fry till transparent. 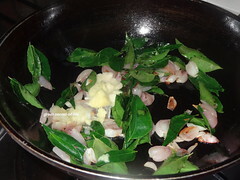 Add Ginger garlic paste and curry leaves (3/4 cup). Fry for 2 mins. 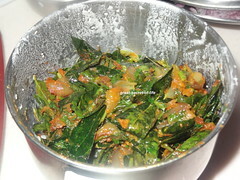 Add sampar powder, Chilli powder. Turmeric powder and fry for 2-3 mins. 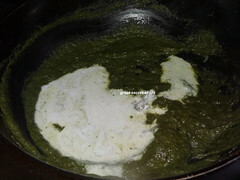 Switch it off and add yogurt and Coriander leaves (3/4 cup). Let it cook down and grind to smooth paste. 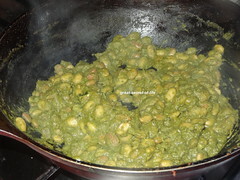 Take a pan and add a teaspoon of oil/ Ghee. 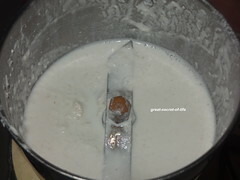 Heat rest of oil / ghee. 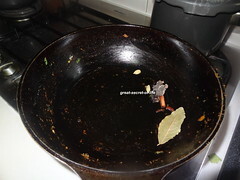 Add bay leaves, cinnamon, cardamom and fry till nice aroma released. 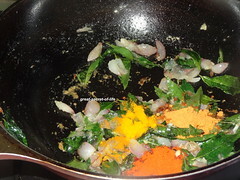 Add grinded onion curry leaves paste. 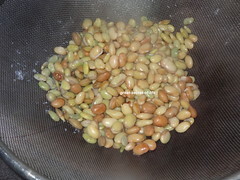 Add Melon seeds paste and 1/2 cup of water. Fry till all raw smell goes off. 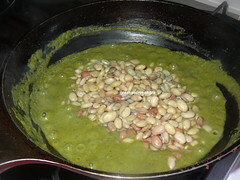 Add 1.5 cups of water and cooked field beans. 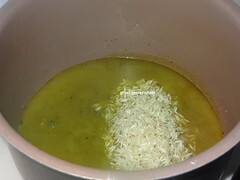 Let boil and add rice. Cook it with lid closed. Once cooked. 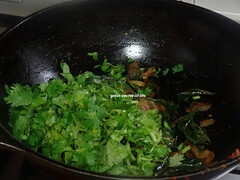 Add chopped coriander leaves. Mix well. 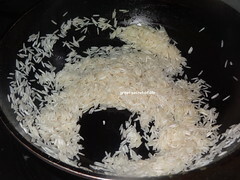 I have used rice cooker so I have add all together and cooked it. I love mochai.. This looks so flavourful and filling!! 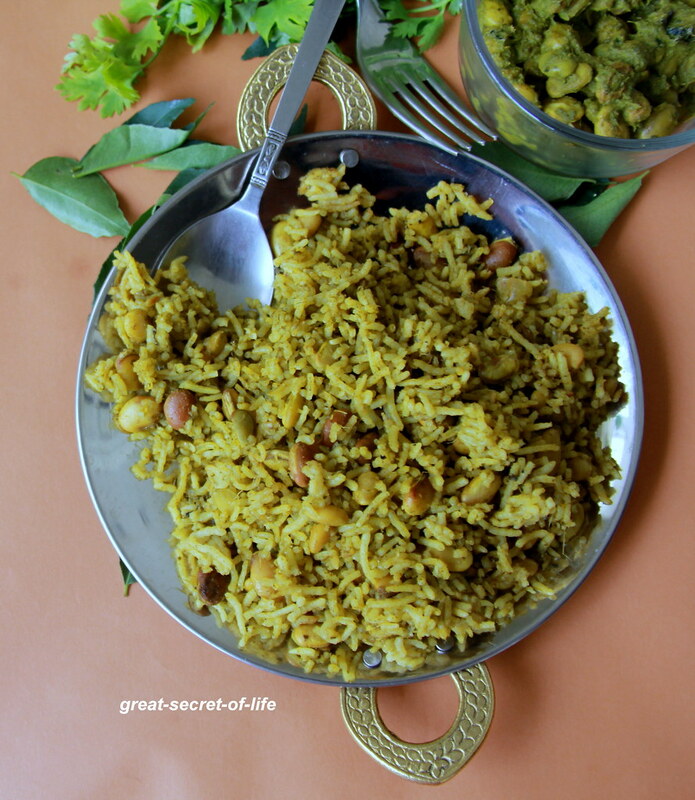 The briyani looks delicious Veena, you have left out the mochai in the ingredients list.. Thanks Hema. I have added it now..